Fair Oaks Dairy – The Home of My "Big Things"
Any trip to the Chicago area is not complete without a stop on the way home at Fair Oaks Dairy. Offering a wide variety of cheese as well delicious ice cream, all made from milk that contains no hormones or antibiotics. Located at exit 220 on I-65 in Fair Oaks, Indiana it’s a great place to stop and grab a cone or milk shake. If you have children this is the place for you. 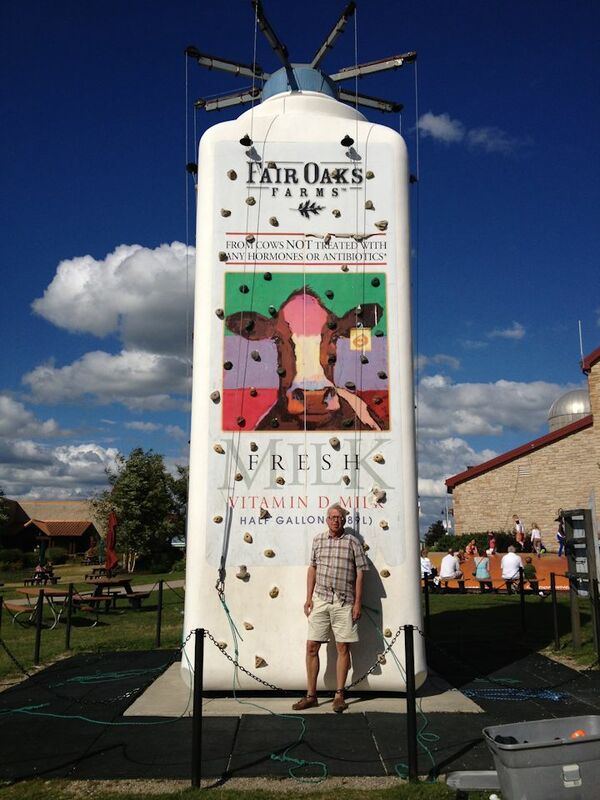 This Big Milk Bottle doubles as a pseudo climbing wall. Go, you will like it!